What’s the furthest you have gone to get a shot? I’m not just talking about distance traveled, but about the furthest you have gone in terms of effort, willpower, and willingness to conquer your fears in the name of capturing an image. Personally, I would say that I have gone pretty far: I have traveled to remote parts of the world, climbed to the top of the Golden Gate Bridge, and hung out of an open airplane, all with my camera held firmly in my hands. But I have never come close to anything like what Joe McNally has done in the above video. 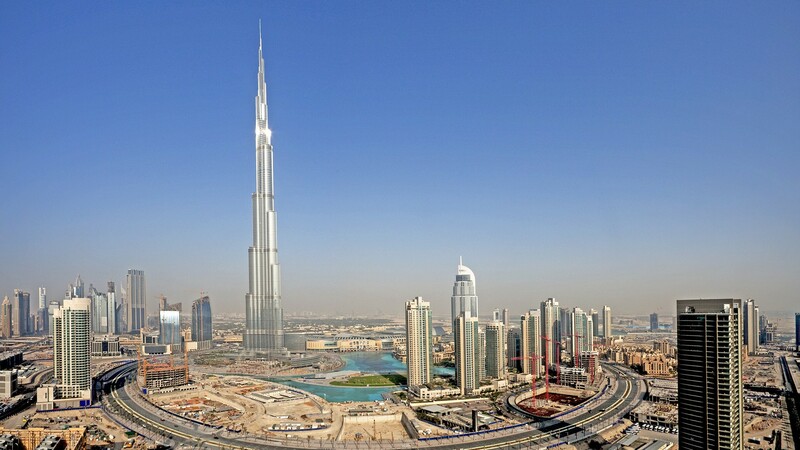 Standing at 2,722 feet, the Burj Khalifa is the tallest man-made structure in the world. I have been to the United Arab Emirates, and believe me when I say that it is an incredibly daunting sight to behold. Simply tilting my head upwards to find the top of this building gave me shivers down my spine. And Joe McNally went to the very top… to capture a photograph of the expansive skyline and the workers who are regular visitors at these impressive heights. I don’t particularly have a big fear of heights, but the above video is seriously fear-inducing. Not just for the obvious reasons (although it’s hard to watch that video without cringing), but also because of something most aspiring professional photographers can easily identify with: what if I don’t get the shot? Climbing to the top of the tallest building in the world is a once in a lifetime opportunity, but would you have the confidence to know for certain that you will nail the exposure in-camera, right then and there without fail? That confidence, is a major component of what Joe talks about at CreativeLive class during his course, Lighting, Logistics, and Strategies for a Life in Photography. This is a big deal. If you aspire to take pictures for a living, then Joe McNally is THE photographer to teach you about the skills, knowledge, and industry-insider information that are essential to actually making that happen. Make sure you’re a part of this exclusive, once in a lifetime course by one of the best photographers in the world. Content Marketer at CreativeLive, and outdoor and landscape photographer. I work with great people to create awesome photography content and education.